THIAGO (STUD - Father), is "5TH RANKED IN THE WORLD" fully titled SchH3/IPO3/Kkl1/A1/A1 (excellent hips/elbows). His father is the current 2018 "WORLD CHAMPION " VA1 Willy vom Kuckucksland. Magnificent male, strong bone, strong gait, powerful, masculine structure, superior type, stud type macho head, strong pronounced mask, male with good working characteristics! Excellent type, excellent pigment, very healthy and world champion pedigree. 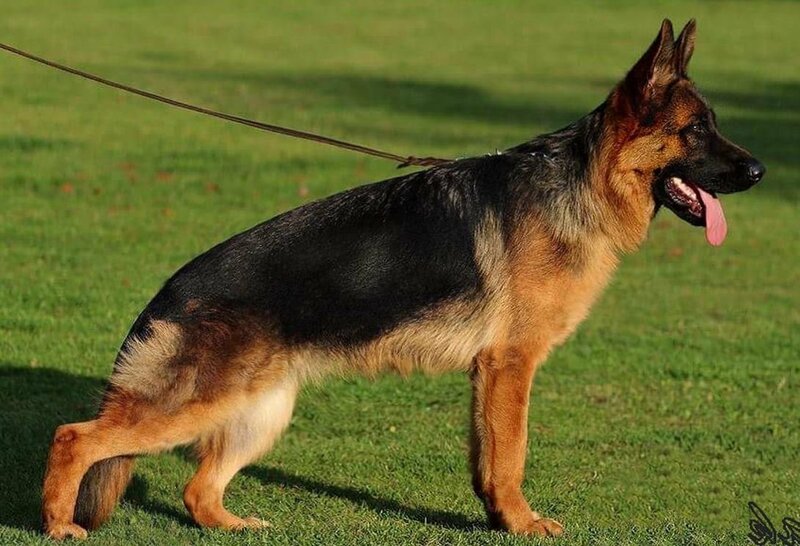 Confident, self-assured dog, "Clear in the head" with stable nerves and safe nature! 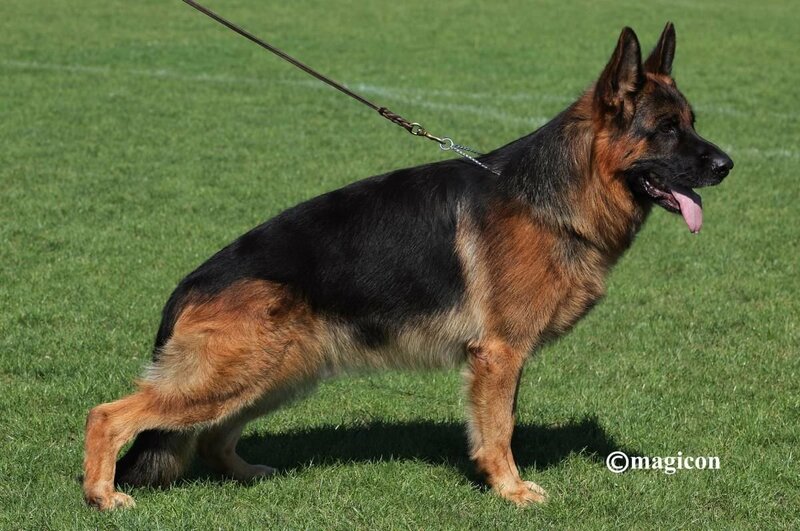 ISY (DAM - Mother), a large and powerful female, fully titled in SchH3/IPO3/Kkl1/A1/A1 schutzhund, her grandfather is THREE TIMES WORLD CHAMPION VA1 Vegas du Haut Mansard. Anatomically very correct, with excellent type, strong, powerful, expressive, superbly pigmented, correct female with correct over-all type and anatomy. She is excellent in her working ability, spirited, absolutely clear in the head. Safe nature and stable nerves, with world class pedigree coming from both parents. Balanced in nature family and show dog with excellent genetic-health.